동백나무는 우리나라를 비롯하여 일본, 중국 등의 따뜻한 지방에 분포하며, 우리나라에서는 남쪽 해안이나 섬에서 자란다. 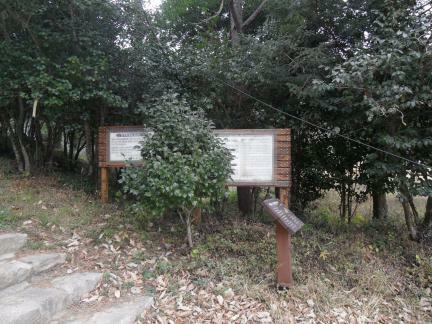 꽃은 이른 봄에 피는데, 매우 아름다우며 꽃이 피는 시기에 따라 춘백(春栢), 추백(秋栢), 동백(冬栢)으로 부른다. 백련사의 동백림은 강진에 있는 백련사 부근에 있는데 동백나무 1,500여 그루가 숲을 이루고 있으며, 이밖에 굴참나무, 비자나무, 후박나무, 푸조나무 등도 군데군데 자라고 있다. 동백나무의 높이는 평균 7m쯤 되고, 동백꽃이 필 무렵이면 매우 아름다워 이 지역의 명소로 알려져 있다. 동백림의 유래에 관하여 정확히 알려진 것은 없으나, 정약용 선생의 유배지인 다산 초당이 가까이 있고, 이곳에서 다도(茶道)연구를 했던 것으로 미루어 이와 관련이 있을 것이라는 추측이 있다. 백련사의 동백림은 우리나라의 난온대지방을 대표하는 나무인 동백나무가 집단적으로 자라고 있는 지역일 뿐만 아니라, 정약용 선생과 관련된 문화적 장소로서의 가치도 높아 천연기념물로 지정하여 보호하고 있다. 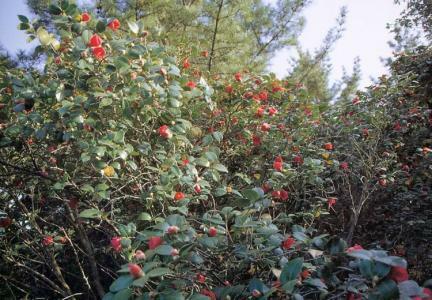 Distributed in Japan, China, and Korea, the Camellia grows on the south coast or on the islands of Korea. 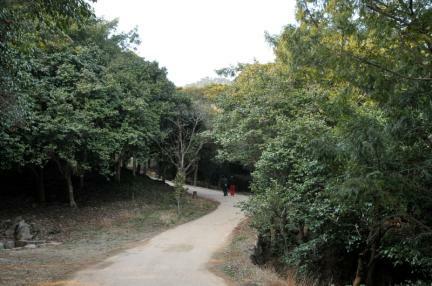 Its beautiful flowers blossom in early spring. 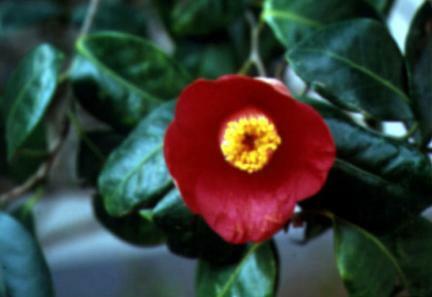 Depending on the blossoming season, the Camellia is called "Camellia in spring," "Camellia in fall," or "Camellia in winter." 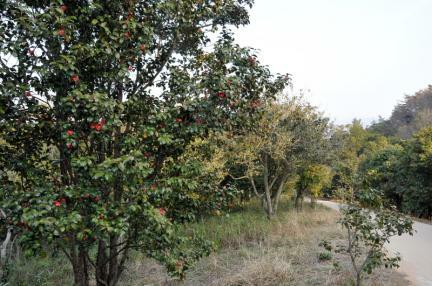 The Forest of Common Camellias is near Baengnyeonsa Temple and is composed of 1,500 Camellias. 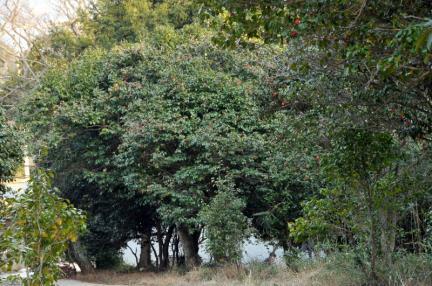 They are about 7m in height. 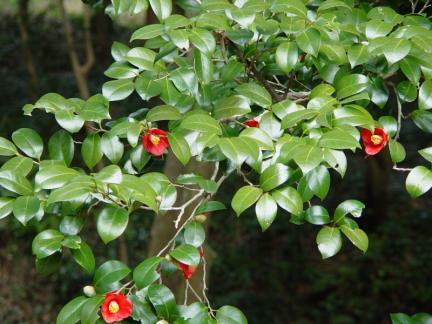 The history of the Camellia forest is not certain. 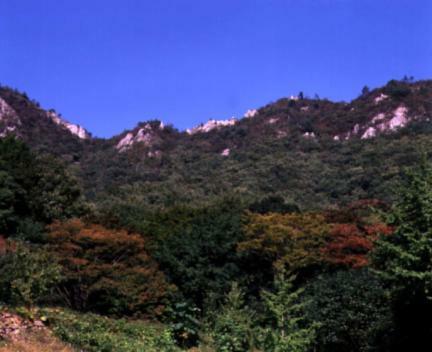 Note, however, that Dasan chodang, the exile of Jeong Yak-yong who studied about "Dado,” is near the Camellia forest. "Dado" means teaching truth through tea. 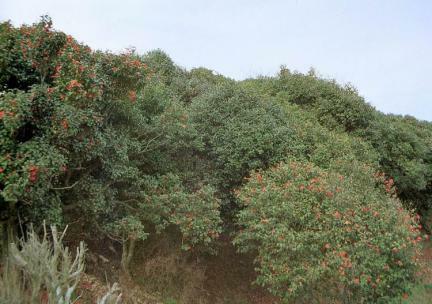 Therefore, the Camellia forest is presumed to be related to Jeong Yak-yong. 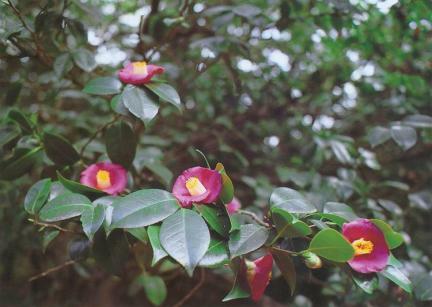 The Camellia is a representative tree growing in the subtropical and temperate zones of South Korea. 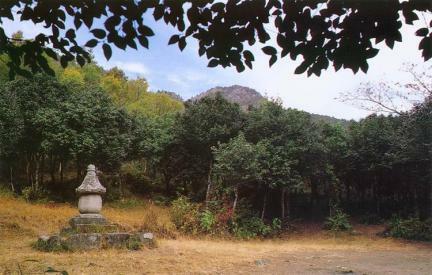 Since the forest of Common Camellias at Baengnyeonsa Temple is historically valuable, it is designated and protected as a Natural Monument.